Do you have a fear of dentists? Nobody needs to be afraid of the dentist these days, as we offer completely pain-free treatment in our centres thanks to the most up-to-date methods. This means that even people with a fear of the dentist can do something good for their teeth, their health and their self-confidence. Where does a fear of dentists come from? A fear of dentists often has many causes. Unpleasant childhood experiences or the fear of loss of control at the dentist, but also other factors can encourage a fear of dentists. How are patients treated, who are afraid of the dentist? Our dentists and specialists take the time to have a detailed discussion and clear explanation with the patient. We can perform the most difficult dental interventions while you sleep. 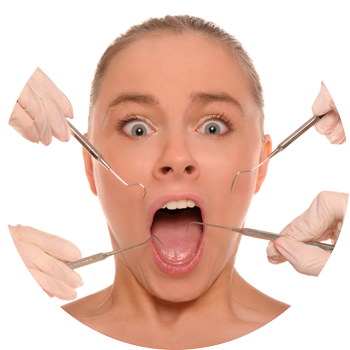 We offer these anaesthesia treatments to very scared patients or for oral surgery. Anaesthesia is available for adults as well as children. Our anaesthetists have many years of experience in their field.